They didn’t actually disappear, but you may not recognize the names. The slope named “Price’s Hill” covered only a portion of the neighborhood now known as Price Hill. Now subsumed within that neighborhood are Mount Echo, Mount Hope and Mount Harrison. A modern reader will not recognize the names of any of these hills. Today, each is known by a totally different name. Lytle’s Hill is now known as Mount Adams. Dickinson’s Hill is now Price Hill. Key’s Hill is now Mount Auburn. Most Cincinnatians know that Mount Adams was renamed to honor U.S. President John Quincy Adams in 1843. Prior to that, the hill was known variously as Lytle Hill (according to Mrs. Sinks) and as Mount Ida for reasons that are more legendary than factual and will be addressed in a future blog post. An 1841 magazine records another nickname for Mount Adams – Waterworks Hill. 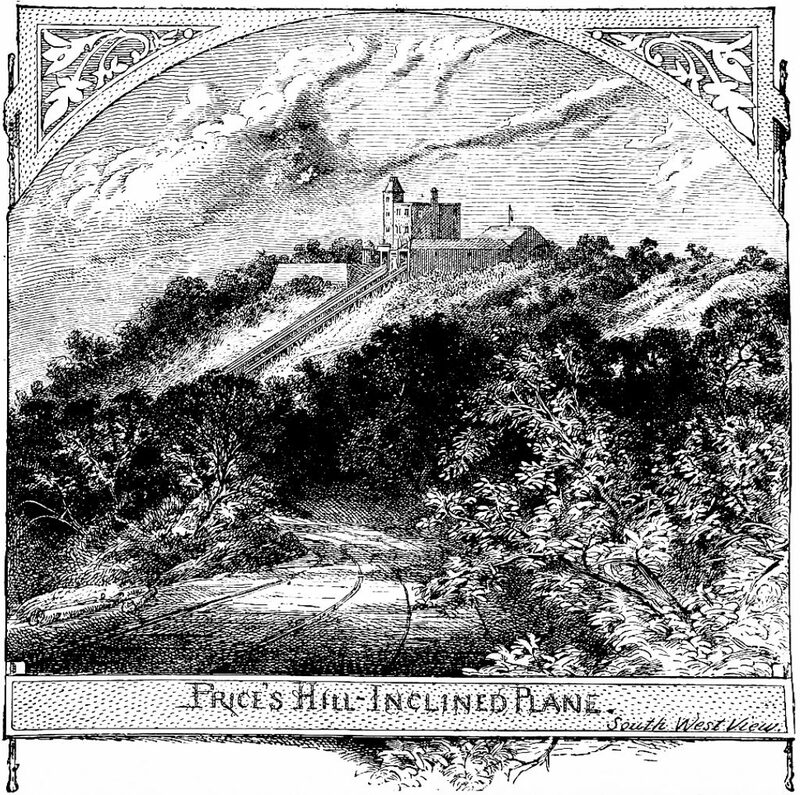 Despite the intended ostentation, Price Hill was in fact known throughout the 1800s as “Price’s Hill.” The possessive referenced the eccentric landowner Reese Price, who occupied the summit of that hill and paid for the incline that ran up from Eighth Street. What is not so well remembered is that Price’s Hill did not cover the entirety of what we now call Price Hill. According to the old maps, “Price’s Hill” referred only to the slope on which the incline ran, the area now called the Incline District. What we call Price Hill today included four other hills whose names are almost lost to history. Beginning at the southern side of today’s Price Hill at 830 feet above sea level, we had Mount Echo, memorialized in Mount Echo Park, offering perhaps the most picturesque view of our city from the west. A little behind Mount Echo, southwest of Enright Avenue, is Mount Hope, which reaches 860 feet above sea level before sloping down to a little community at the bottom of Rosemont Avenue. But the largest of Price Hill’s hills was Mount Harrison, which rises nearly 870 feet high a block north of the old WEBN studio location on Considine Avenue. Cincinnati’s hills were originally known by the roads that led to them, so Mount Auburn was known as Sycamore Hill. Most of Cincinnati’s hills have endured name changes. The earliest settlers here did not pay much attention to the hills surrounding the town because there was nothing up there to pay attention to. When they got around to naming a hill, it was not because of anything on top but for the route to get there. Hills got named for the street that led to them. The hill that would one day contain Corryville became known as Vine Street Hill as early as 1845. Likewise, Mount Auburn lay atop Sycamore Street Hill. It has been decades since anyone mentioned Sixth Street Hill, but that was once a major route onto Mount Adams. As far back as 1838, local maps showed Prospect Hill as a separate entity, although today Prospect Hill is folded into the Mount Auburn neighborhood. On some maps, Prospect Hill appears to be nothing more than the southern slopes of Mount Auburn. On others, it appears to designate a small plateau at about 810 foot elevation in the middle of Young, Channing and Ringgold streets, on the way up to Mount Auburn’s 860-foot summit. Congregated on the slopes of Mt. Auburn were a number of subsidiary elevations, including Goat Hill at the intersection of Dorchester and Highland. Jackson Hill held the isolated community of Bethlehem. 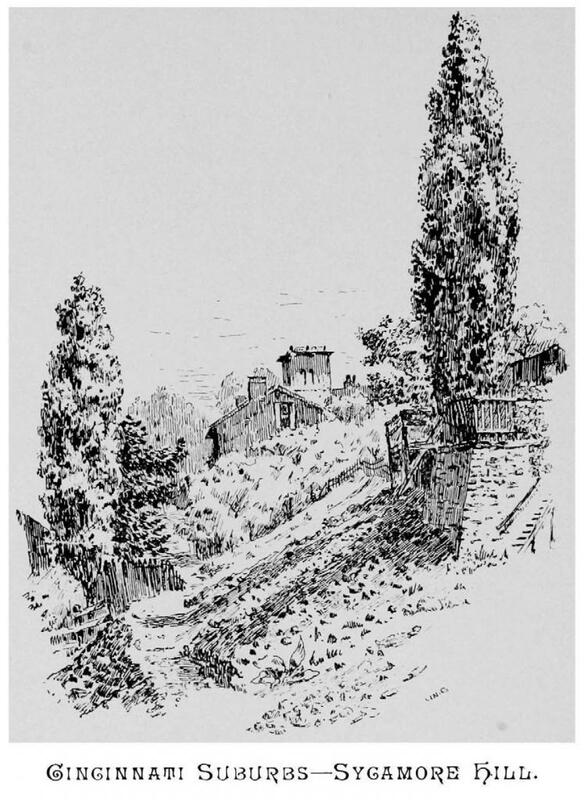 A nearby village, known as Jerusalem, nestled to the west on Bellevue Hill. Just up from Inwood Park, the intersection of Auburn Avenue and Wellington Place there once was a knoll that was thought to be the highest point in Hamilton County. This unnamed peak was shaved to its present elevation of 884 feet by quarrying. The southern slope of Fairview was also referred to as Brighton Hill. Mount Storm Park memorializes Robert B. Bowler, who built his mansion atop the highest elevation (766 feet) in the then-independent village of Clifton. He named the hill on which his estate was located Mount Storm after the meteorological views he enjoyed to the west. The name stuck after he donated the property to the city of Cincinnati. The west side of Hamilton County, befitting its many parishes, is dotted with hills known only to Roman Catholics. Mount St. Mary was a seminary producing priests atop Price Hill, down the street from Mount St. Vincent, where an academy was founded that is now known as Seton High School. Mount St. Joseph University, of course, is still in operation out in Delhi. The city’s manufacturers occasionally attempted to get a hill named in their favor. The Gruen Watch Company, for example, consistently referred to the location of their factory on McMillan Avenue as “Time Hill.” It never caught on. It has been so long since Edgecliff College merged with Xavier University that many Cincinnatians have forgotten that it really was built on the edge of a cliff. Founded in 1935 as Our Lady of Cincinnati College, the school adopted the Edgecliff name in 1969. As Cincinnati hills go, Edgecliff is not that high; just 780 feet above sea level or so. However, the southern slope drops 200 feet rather precipitously down to Columbia Parkway. 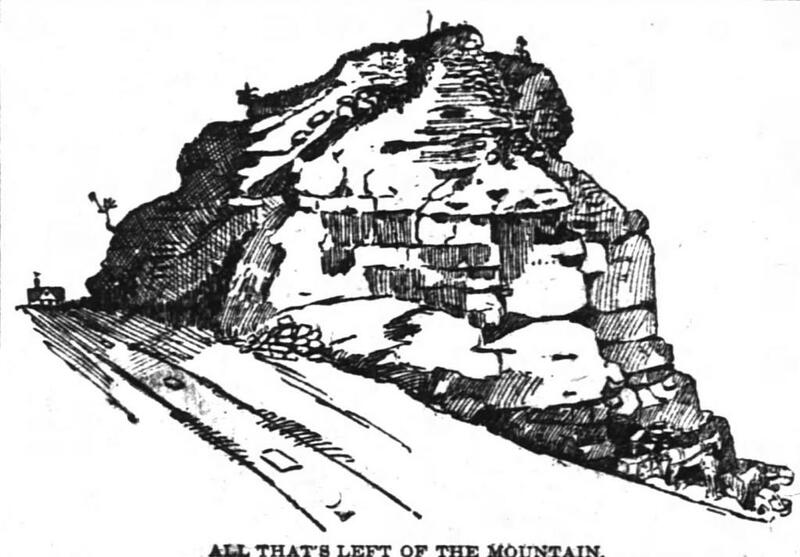 In 1898, the Enquirer published this drawing to show “all that was left” of a large hill near Highland and Dorchester. Known as Goat Hill, even this remnant was shaved away to create the plateau on which Taft Elementary School sits today. The Cincinnati Post [8 June 1901] describes a trip by the Cincinnati Society of Natural History to some place called “Clark’s Hill.” The only clues to the whereabouts of this long-forgotten hill were the mode of transportation – the Society used “the Ludlow cars” – and the vague notation that it was on “the old River Road.” Does anyone today know where Clark’s Hill was located?